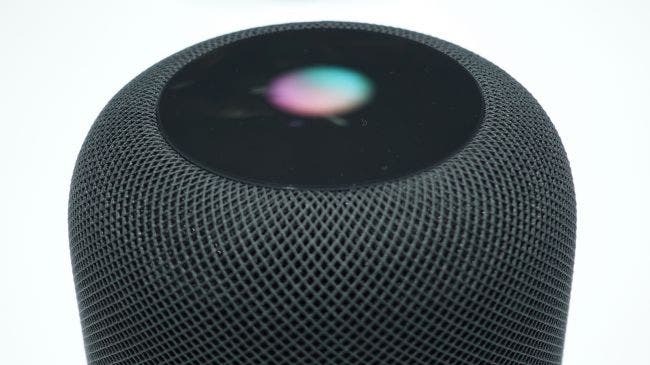 We've just got our review device for the HomePod in - but obviously we'll need a few days to test it out before delivering a definitive TechRadar verdict. However, if you can't wait that long, we'll be keeping this review updated with some early thoughts to tide you over. Well, we’ve waited a little while for this one, haven’t we? But Apple's HomePod is finally nearing a release, and we managed to get some time extended time listening to it and testing out the sound. Sadly, we weren’t able to take photos, nor extensively handle the units on show (that should be coming soon, though) - but we did get to hear all manner of sound and Siri tests with the units in different scenarios, as well as some ‘light fondling’ of the speaker. In terms of using the Apple HomePod, it’s so, well, Apple in the way you’ll use it. Like with the AirPods, simply hold your phone near the unit and your handset will send over your Apple ID, Apple Music preferences and enter all the long-winded Wi-Fi passwords you’re proud that you remember but thankfully don’t have to type in. After that, you can leave the house with your iPhone and your family or housemates will still be able to use the speaker – although you can turn off ‘personal requests’ based on your information if you don’t want other people meddling with your business. (Thankfully you can also stop requests to the speaker messing with your music listening history too - if you’re trying to build decent automated playlists on Apple Music, then your housemates playing Justin Bieber and Moana on repeat won’t destroy that). 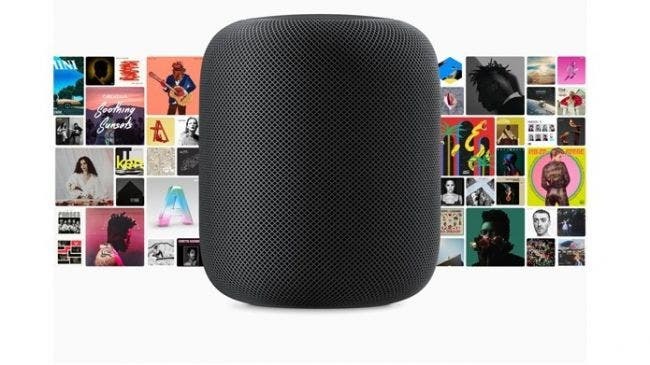 The Apple HomePod price is $349 / £319 / AU$499, and thankfully we finally have a HomePod release date to go with that price: pre-orders went live at 13:30 on 26 January, with the unit beginning delivery on 9 February. Setting up the HomePod is a very straightforward affair - as long as you've got an iPhone or iPad. If you're thinking of buying Apple's speaker but don't own one of these, don't bother. It's Apple-only, we're afraid. We spent some time updating our iPhone - you'll need iOS 11.2.5 to make the HomePod work - watching the light pulsing on top of the 'Pod while we waited. It's oddly hypnotic. After that, it couldn't have been simpler. You hold the iPhone near the speaker, and like with AirPods or newer iPads all your settings are copied over with a few taps. This shares your Apple ID, your wireless settings and all the other bits that the HomePod needs to know who it's hearing from... as well as your Apple Music information. Whenever you speak to Siri from there on, a small coloured set of lights dance across the reflective plastic surface of the speaker, which is helpful to build trust the speaker can understand what you're saying. The hardest part of the setup was actually just finding a place to plug it in - the lead is long enough for most things, but you'll want to put it near a wall to let the sound reverberate properly. It can often be hard to assess sound quality in a demo, as it’s clearly going to optimized for the space around it. At least Apple demonstrated the HomePod in actual rooms with furniture and rugs to give a sense of how it will sound, and the tech inside is designed to do a lot of stuff to the noise springing out the speaker. 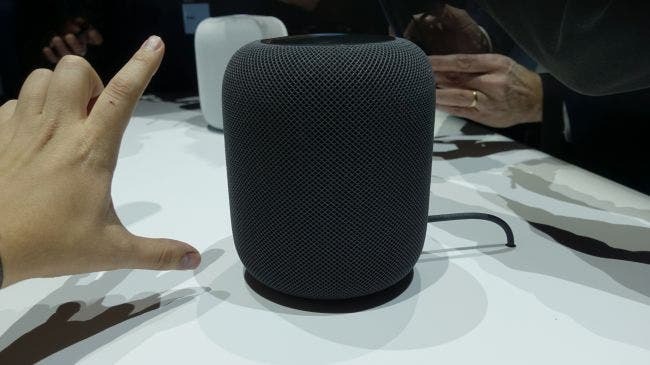 Place the HomePod in the middle of the room and you’ll get a 360-degree sound spreading all around, but move it to a wall and the speaker will work out what surfaces are nearby and split the sounds accordingly. This means the background instruments and accompaniments will be reflected back, and the main vocals and instruments will be given a more powerful, direct route to your ears. In practice, it just sounded pretty good… as you’d expect from a speaker of this cost. We listened to Ariana Grande, Gregory Porter, songs from the Hamilton musical soundtrack, Frozen, and Ed Sheeran and all of them sounded pretty decent. The vocals on all of them were very clear, with heavy bass (it almost slipped into muddy at times, although the effect was minimal). These things are loud, too, with impressive sound quality coming at higher volume. More vocally-dominated songs sounded clear and authentic, and throughout the test it was impressive just how wide the audio coming out of the HomePod was. In fact, it sometimes sounded like the speaker was trying to do too much, with almost too much power trying to get out. Not in terms of distortion, but just a lot of energy coming out of a very small unit. 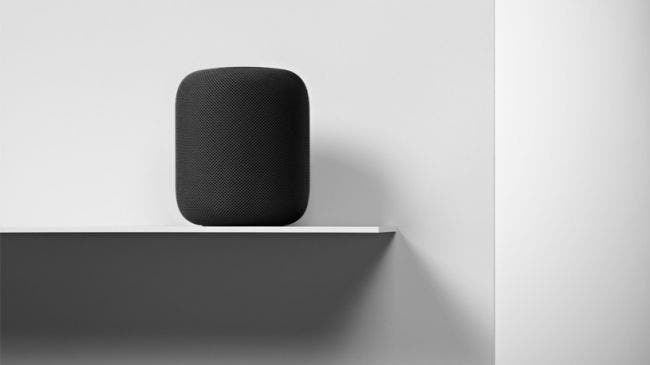 We also were shown a test between the HomePod and the Sonos One ($199 / £199 / AU$299), Harman Kardon Allure ($250 / £250 / around AU$400) and new Amazon Echo ($99.99 / £99.99 / AU$149). Apple told us that all the speakers were set up to manufacturers’ specifications and sound matched to ensure the same volume. Unsurprisingly, as the most expensive, the HomePod sounded the best during the live recording of The Eagles’ Hotel California. However, the Allure stacked up pretty well, with the Alexa-enabled speaker offering similar bass levels and a nice range. The Sonos One was also high quality, but had a narrower range and didn't have quite the same power at the volume we listened to. What was interesting was how well the new Amazon Echo performed. It wasn’t in the same league as the Allure or HomePod when it came to bass, but the sound quality was pretty rich considering it costs a third as much as those on offer here… and can connect to far more apps and services. We also got an early look at stereo mode, which involves pairing together two Apple HomePod speakers to create a bigger sound in a room. A feature for the more wealthy, perhaps. They sounded just as good, except just a bit louder – using two speakers didn't seem to add any extra smarts, they just created a wider sound that filled the room more comprehensively. They obviously sync together, meaning pausing or changing the volume on one unit has the same effect on the other – but the demo was just a standard song, rather than something that made use of the stereo options. 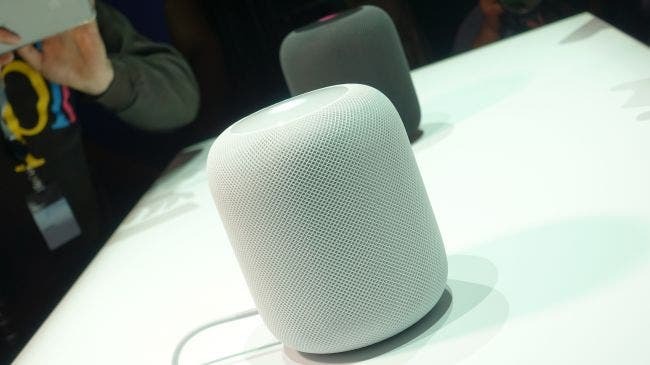 It would be interesting if two HomePod speakers could be used as a sound system for an Apple TV, but the viability of that wasn’t confirmed to me. The controls are hidden at the top, with the volume + and - buttons lighting up when pressed and the main ‘glow’ in the middle appearing when the speaker is in use. This is white for standard operations, but turns multi-colored like the Siri logo when you’re chatting to the assistant. The touch controls are fairly responsive, although it would be nice to have haptic feedback when tapping the top. However, double-tapping to skip tracks is fine and you can triple tap to skip back a track, too. In terms of what’s inside the speaker, you’ve got a lot going on - six microphones for Siri, seven tweeters, a woofer with a custom amplifier, a motor driving the diaphragm, and the Apple A8 chip inside. However, there are a few notable absences: there’s no Bluetooth connection on offer here, nor an audio in port... although Apple adding a headphone jack to this, but not its phones, would have been a story in itself. 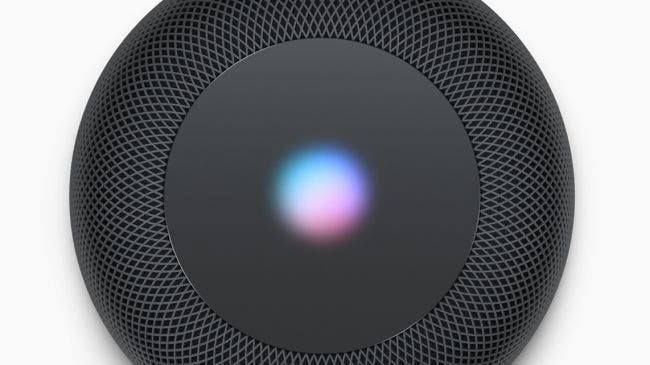 While music playback is the primary thrust of the HomePod for Apple, Siri also has a big part to play. Simply saying ‘Hey Siri’ to the speaker at any point will activate the service - even if you’re listening to a song at high volume. That was an impressive thing to see, and testament to the effectiveness of the six microphones being used. You can also ask Siri to turn down the music, play another playlist, or set the volume to a certain percentage to make things a bit easier to hear if you’re trying to have a conversation. In fact, with music it feels like Apple is trying to do a bit much, as you can ask for information on the singer, the song or a review of the album. The latter is somewhat pointless as the robotic voice reading out information on Ed Sheeran’s album felt, to us, a bit weird – it’s the kind of thing that’s much easier to read on the phone that most listeners will have melded to their hands. But as a smart speaker controlling your home, it’s pretty comprehensive and picks up voices well. In the demo, simply saying “Good morning!” opened the ‘Morning Scene’, which turned on the lights, lifted the blinds and started the kettle boiling. Achieving something like this requires serious investment in your smart home, though. However, you could set it to simply turn on a smart kettle if you’ve spent the cash on one of those, or turn on the lights if you’re too lazy in the morning. You can ask for a news readout, with three services available in the UK, and dictate and hear messages if your hands are full. Texting someone this way seems impractical though - while it’s fine to send a quick message to someone, having to say ‘read my messages’ and confirm you want to reply quickly descends into “Oh, I’ll just get my phone out and do it”, unless for some reason you can’t use your hands at the moment. 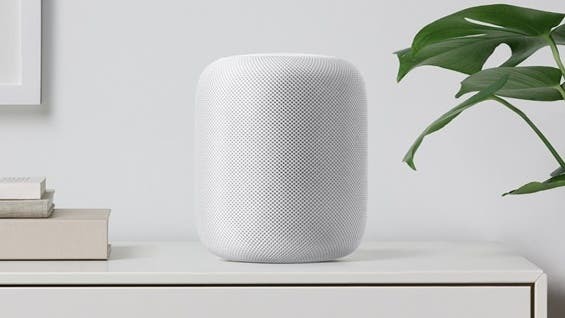 One thing that Apple has been hot on is privacy (all the requests are anonymous and encrypted), and there are multiple ways to protect your HomePod from being used nefariously (accidentally or otherwise) by those around. You can disable the ‘Hey Siri’ command from the Home App on your phone, or by simply asking Siri to stop listening. Although Siri will double check you want to do this and you can re-enable the service by pressing the button on top. The HomePod is late to the game, but it does what Apple set out to do: offer a premium listening experience that combines very well with Siri. While it’s not going to publicize the same thing, it has a higher price like other Apple products to give it an air of better quality – although the build quality and audio do match the price point. It’s a little more expensive than equivalent products, and lacks things like Bluetooth playback or the ability to interact with many services outside the Apple ecosystem, though, so this is, as expected, a speaker for the person that has a Macbook, iPhone and Apple Watch and wants high-class sound to go along with that range.